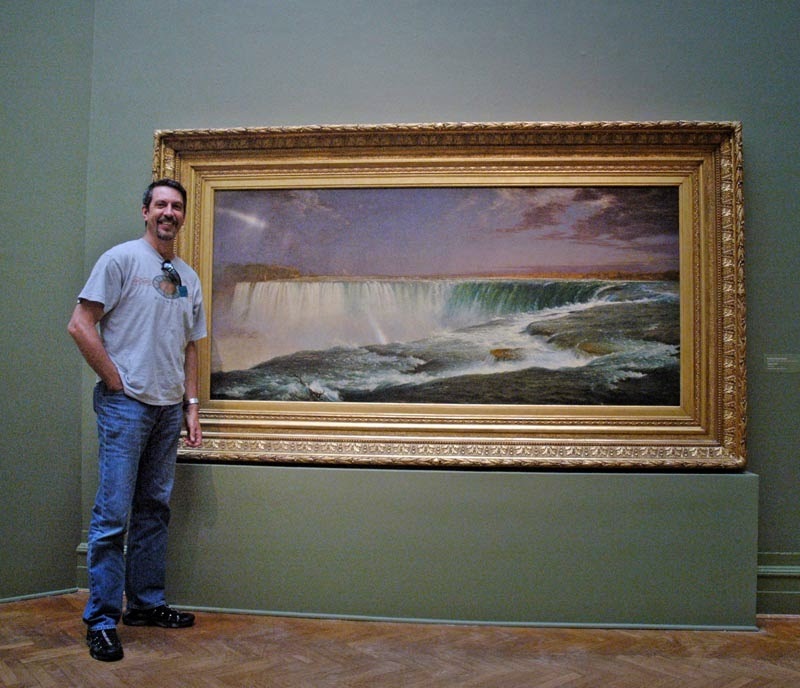 An important part of any painters’ growth is museum time. Seeing master paintings in person is critical to maturing as a painter. Learning why certain paintings are revered is essential in ones education as an artist. When I go to museums I avoid guided tours. I can do my own research later on paintings that interest me. What I want to see more than anything is process and finish. These can be tricky without a little knowledge of art history but most of the time the artist’s thinking is on the canvas. How they use and apply paint along with other aspects of design help show me process. It can be enlightening to say the least. What you quickly see looking at a number of paintings is, many great painters think of their paintings as objects not just images. The painter considers all aspects of the piece and its intended impact on the viewer. Size, quality of the surface, pigment application—all play a role beyond normal considerations of pictorial design and process. Yes, thinking this way makes me more aware not to overwork a stroke, and beat that poor paint to death. I still remember an oil painting I saw years ago, with a major black field that looked like velvet. It must take a lot of painting chops to handle oils like that, a skill that I hope to gain.